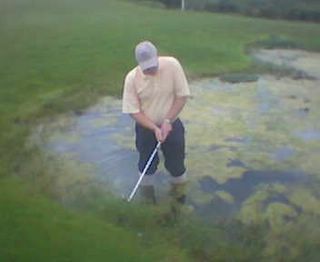 Yours truly negotiating the 3rd at Loch Ness in a far from orthodox manner !!!! !.......Whaur's the monster ! !